On Hrag Vartanian’s new blog, Hyperallergic, I contributed a short interview with Jason Andrew this week about Jack Tworkov and the New York School. Andrew is the curator and archivist for the Estate of Jack Tworkov and was the mastermind behind the recent retrospective of Jack Tworkov’s work — the final show at the UBS Art Gallery. A prominent figure in the Bushwick art scene, Andrew is also the founding director of Norte Maar, which encourages, promotes, and supports collaborations in the arts. Go to Hyperallergic to read the interview. 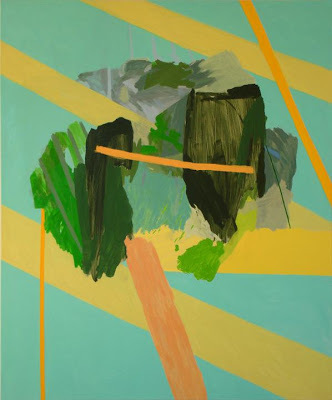 “The Other Side: New Paintings by Brooke Moyse,” Norte Maar, Brooklyn, NY. through Nov. 21, 2009.
ever see paintings you like so much and feel such a connection with that they fill you with resentment?